Chemi Shalev is a senior columnist and U.S. analyst for the widely respected Haaretz news organization. He has recently returned to Israel after five years in New York, where he served as U.S. editor and correspondent, writing about U.S. politics, U.S.-Israeli relations and the American Jewish community. He will continue to cover these issues and to report and comment on Israeli politics and the Israeli-Palestinian peace process from his home near Tel Aviv. Mr. Shalev writes and lectures in both Hebrew and English. He is published in Haaretz’s print editions as well as on its website in Hebrew, Haaretz.co.il, and English, Haaretz.com. He has been covering Arab-Israeli conflict, US-Israeli relations, Israel’s internal politics and American Jewry for over thirty years. 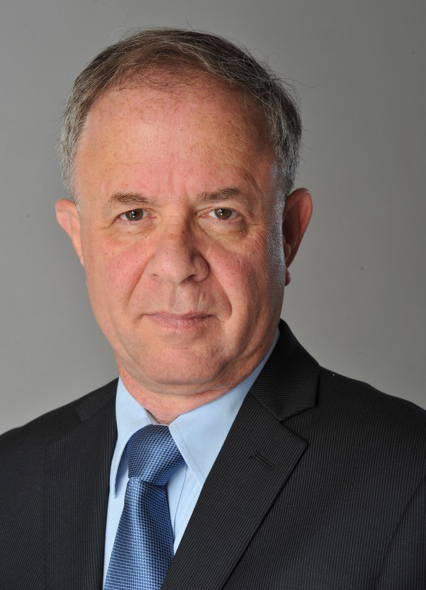 Previously he served as diplomatic correspondent and commentator for several major Israeli dailies, including Maariv, Davar, Yisrael Hayom and Jerusalem Post. Mr Shalev’s columns on American and Israeli affairs are frequently cited in major newspapers throughout the world. He has been a guest-commentator on CNN, BBC, Sky, CBS and other television networks during times of Middle East crisis and has served as CNN’s resident analyst during several Israeli election campaigns. Chemi Shalev resides in Israel but comes to the U.S. frequently. Trump and Netanyahu: Birds of a feather or destined to clash? The U.S. President and the Israeli Prime Minister have hit it off famously, but can their bromance last? Is Trump good for the Jews, as many Israelis seem to believe, or not so much, as most American Jews seem to think? Are the Jewish people facing a schism? Are the recent kerfuffles over Women of the Wall and conversions to Judaism local skirmishes or watershed events? Why the polices of Trump and Netanyahu are deepening the divide, and where will it all end? The two state solution to the Israeli-Palestinian conflict is either dead or dying. What are the alternatives: Continued status quo, “a state for all its citizens”, apartheid or inevitable armed conflict? Israeli Democracy Alert – Between Fake News and Jewish State, is Israeli Democracy in danger? In recent years the foundations of Israeli democracy have eroded, freedom of speech has been curtailed, Israeli media is under siege, and pressure to conform increases all the time. Who is responsible? Is Israeli democracy in danger or is this just a wild exaggeration? What should and what can American Jews do to prevent the slide down the slippery slope?